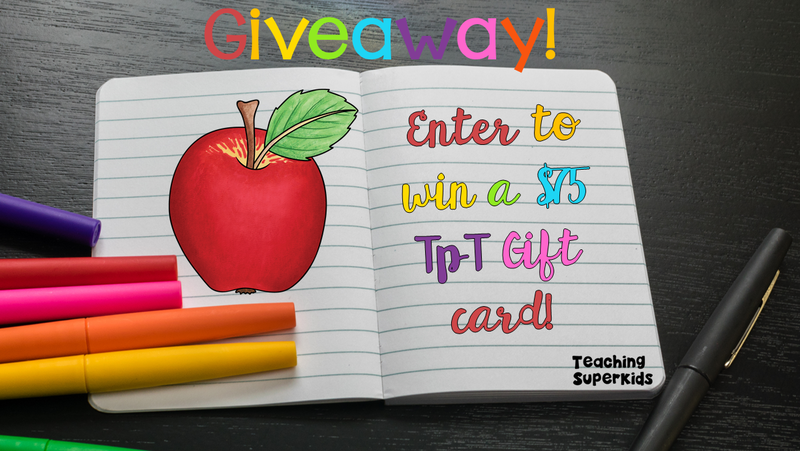 There are many of you who have already returned to school and a host of you that are just about ready to go back, so I am joining with my blogging buddies to bring you a SERIOUSLY AWESOME giveaway! Do you have an amazing bundle just sitting in your wishlist, just waiting to be purchased but your hubby is shaking his head no while shoving target receipts in your face? If so then this giveaway has your name written all over it! Enter to win one of 2 yes 2 $75 Gift Cards!!! Co-hosts: Kelly Malloy (An Apple for the Teacher), A Plus Kids, Teaching Superkids, Peas in a Pod, Embellished Education, Lattes and Lunchrooms, KB3Teach, Dancing into First, Teaching Ideas For Those Who Love Teaching, The Chocolate Teacher, Ms K Math, Knowledge Mobile, Mrs. Roltgen, Elementary Antics, CrazyCharizma, Carla Hoff, Third Grade Giggles, Mickey’s Place, Rissa Hanneken, Activity Tailor, Kamp Kindergarten, Reading and Writing Redhead, Planet Happy Smiles, A View Into My Classroom, Momma With A Teaching Mission, Sara Rucker, The Literacy Garden, Pam’s Place, Heart 2 Heart Teaching, Mrs Humphries Class, Sliding Into 1st, Growing Grade by Grade, Jackie Crews, Life As I Know It, Sarah Griffin, Teacher Treasure Hunter, Glistening Gems, and A Classroom for All Seasons.